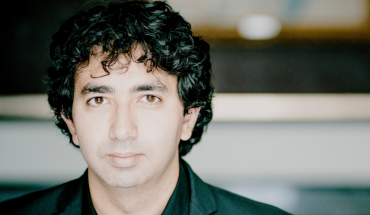 Aqaba Container Terminal’s CEO says his company is working hard to support Jordan’s industries and develop Aqaba into the most sustainable gateway into the Levant. Over the past decade ACT has grown to become a state-of-the-art mainliner port that regularly handles some of the world’s biggest cargo ships. The terminal believes it plays a pivotal role in Jordan’s domestic logistics chain, acting as a crucial supplier for commerce and industry. But as ACT CEO Jeppe Jensen explains here, the terminal also aims to help make Aqaba the preferred gateway for customers across the region. How does ACT fit into Aqaba’s ambitions of becoming a major trade and logistics hub? ACT has over the past decade transitioned from a small feeder port into a large modern mainliner port, now serving vessels of 10,000 containers (TEU) capacity and above. Today we have the size and capabilities to competitively serve markets outside of Jordan. We have brought in international expertise and best-in-class practices, which paired with Jordan’s geographical location, bordering five countries and three continents, present a very strong value proposition for ACT to support the logistics hub ambition. The ambition is, however, contingent on the competitiveness of the hinterland infrastructure and the entire logistics chain. Not only must ACT deliver second to none services, but the experience for industries and traders must be seamless all the way from the cargoes entering the port until its final inland destination. Upgrades of the railway network, establishment of inland logistics centers, and efficient customs and inspection processes are some of the main prerequisites for success. ACT is actively engaged in the Trade and Transport Facilitation Committee of Jordan, where we in cooperation with other key stakeholders from the private and public sectors discuss those solutions. What upgrades have you made to the terminal over recent years? Since 2006, ACT has invested close to $300 million. In 2013, ACT completed a grand scale expansion of an extra 460 meters of quayside, worth $140 million, bringing our total quay length to 1,000 meters. We have furthermore invested in state-of-the-art container handling equipment, and last year we implemented the newest release of our operational IT systems to improve the terminal efficiencies and to cater for the future business volumes. Even more important to us is that we invest in our workforce, of which we are proud to say that 99.9 percent are Jordanians. We continuously provide training to develop our teams and to improve our business capabilities, always with a view to providing a safe working environment. In terms of facilities and work practices, how does ACT now compare to other terminals around the world? The daily operation of ACT is managed by APM Terminals. APM Terminals is a global port operator and recognized industry leader, operating 64 ports and 135 Inland Services operations in 59 countries and on five continents. ACT is therefore greatly benefiting from APM Terminals economies of scale in sourcing and knowledge. This means that since 2006, when APM Terminals partnered with the Jordanian Government, ACT applied some of the absolutely highest operational and safety standards in the industry. On those grounds ACT was in 2014 recognized as one of the most successful public-private partnerships in Jordan, and is today one of the best performing ports in the Middle East. ACT has over the years been recognized for its performance many times. Last year alone ACT was a finalist in the Regional Lloyd’s List Awards ceremony, nominated for the Port Operator Award and the Environment Award, and ACT won the APM Terminals best Global Safety Performance Award. Your total cargo throughput for 2014 was down 10.5 percent year-on-year. What was the reason for this? Did these figures improve in 2015? The lower throughput in 2014 (10.5 percent) and 2015 (3 percent) is related to the conflicts in Syria and Iraq. Traditionally, up to 30 percent of all import containers discharged in Aqaba were bound for the Levant, essentially Iraq. The security situation of the Anbar province has severely limited the ability of cargo to move by road from Aqaba to Baghdad. This transit cargo represents today a mere 3 percent of the total import cargo volumes. On the other hand, the sudden closure of the Syrian border in April last year meant that export cargo, which used to be carried by road to the neighboring countries, could not be delivered anymore, and we therefore experienced a significant surge in export volumes through ACT. The export surge peaked in the midst of the holy month of Ramadan, which added complexity to the operation, and ACT worked hard to support the exporters. We were beating one record after another. First record was in May with 9,287 TEU export containers (up 42 percent year-on-year), followed by a second record in August with 11,860 TEU (up 48 percent) and the last one in November with 12,089 TEU (up 43 percent). Aqaba is an important trade gateway for regional markets. When stability finally returns to Syria and Iraq, how important a role will the terminal play in getting their economies back on track? The container terminal is first and foremost a strategic facility for Jordan’s supply chain and for its commerce and industries. However, our ambition is to also be the preferred gateway for customers of the wider Levant. 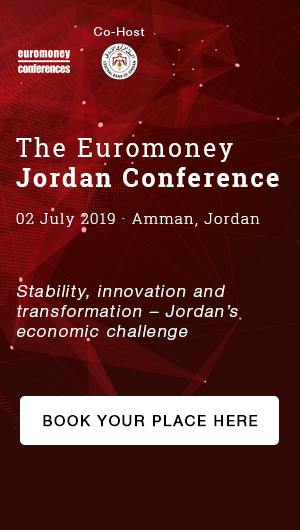 The competitive differentiator for Jordan as a whole, and Aqaba as a hub, is eventually the ease of doing business for the traders along the entire logistics chain. ACT is a very competitive facility and we are continuously working alongside our partners in the logistics chain to develop and support the most efficient gateway to Iraq. 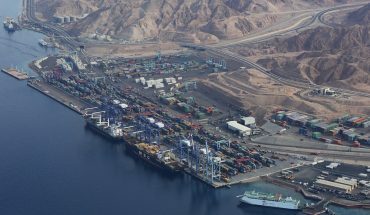 However, the sustainable success of Aqaba as a hub and to regain and retain transit cargo in the future will require diligent execution of His Majesty’s “Jordan Re-launched” program which lays down the most important elements for sustainable success, such as the development of an integrated transport system, and the establishment of dry ports closer to the industrial and consumption areas supported by satellite logistics centers. As a key partner in logistics and transportation, APM Terminals is interested in driving efficiencies in the logistics chain and to build on the success of the container port through potential further investments. It is today that we need to prepare for tomorrow in order for Jordan and Aqaba to achieve its ambition of becoming the hub for the Levant region. This is a great opportunity, but at the current pace I see a need for stronger execution and more collaborative efforts between all of the logistics chain stakeholders in order to see through the improvements and investments the Kingdom needs for achieving its ambitions. It would be a shame to miss the opportunity. ACT management has dealt with several industrial disputes over recent years concerning pay and conditions. Are you confident these matters have now been resolved? The industrial disputes that ACT experienced in 2014 have been long resolved and the dialogue between the management and employees today is collaborative and a lot more mature when dealing with differences; relying on facts more than emotions. We believe the management and the employees now trust that we mutually take good care of the business by all delivering on our promises. We remunerate and reward competitively, and at all times operate within the legal framework of the country. These elements are fundamental for the effective operation of the terminal, and they are essential for creating investor confidence in the country. 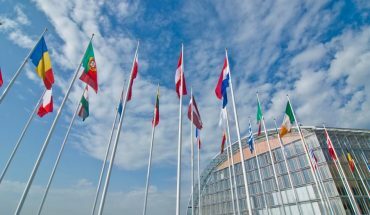 Today I can say with confidence that all parties have a much better understanding of the mechanics with regard to dispute resolution, and that the legal framework surrounding it is respected. 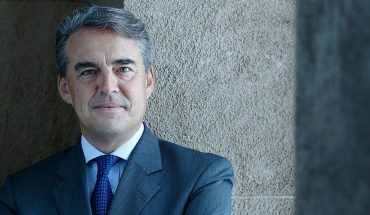 A good example is that there has been no industrial actions since 2014, and those disputes which have occurred since then, one of them recently, have been resolved through the Labor Court amicably without any disruption or interruption to the terminal operations. I can only praise all of our employees in that respect, let alone the constructive dialogue and efforts from the General Trade Union. I have a handshake with the Union that this will continue, and I see no reason why anyone would deviate from this. For ACT, the main objective is first and foremost to stay competitive and to run a first class operation in a safe working environment. We also have growth ambitions and we are planningfor a further berth expansion of 200 meters of quayside, subject to market demand. We soon hope to see a positive development in the neighboring countries which could bring back transit-cargo opportunities, but we are also looking into alternatives of eventually offering to operate car carriers, which we already have the capabilities to handle. Besides the container port, APM Terminals is always seeking new opportunities in Jordan where it makes sense from a business and value-add perspective. APM Terminals is a long-term investor with confidence in Jordan, and besides ACT, the company also holds the majority share in Aqaba Logistics Village, which just completed its second expansion phase, with an option to expand even further. Opportunities to invest in new logistic infrastructure and public-private partnerships with the government to strengthen Jordan’s position as a business hub will always be of interest to APM Terminals. 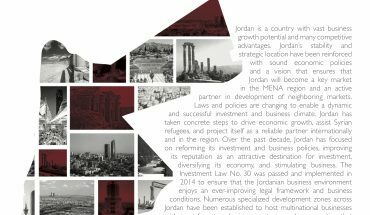 We believe that there are many areas where the company could help Jordan realize its ambitions.